Mandatory Safe Sanctuary Training to be held 2 different dates & times so all can attend. First date will be Wed. April 24th at 6pm. Second date is Sat. April 27th at 9am. Anyone working with the youth must attend one of the sessions. Anyone wishing to work with the children can download the volunteer application here: Volunteer application Mar 28, 2019. Turn in form to the Pastor. Vacation Bible School (VBS) will be June 2-7th. Mark your calendars now! Volunteers needed. Please contact Shelby Morehart at http://www.shelbypetgroomer@gmail.com to sign up or download the link for child ministry form and give to the Pastor to enroll: Children info form Mar 28, 2019. 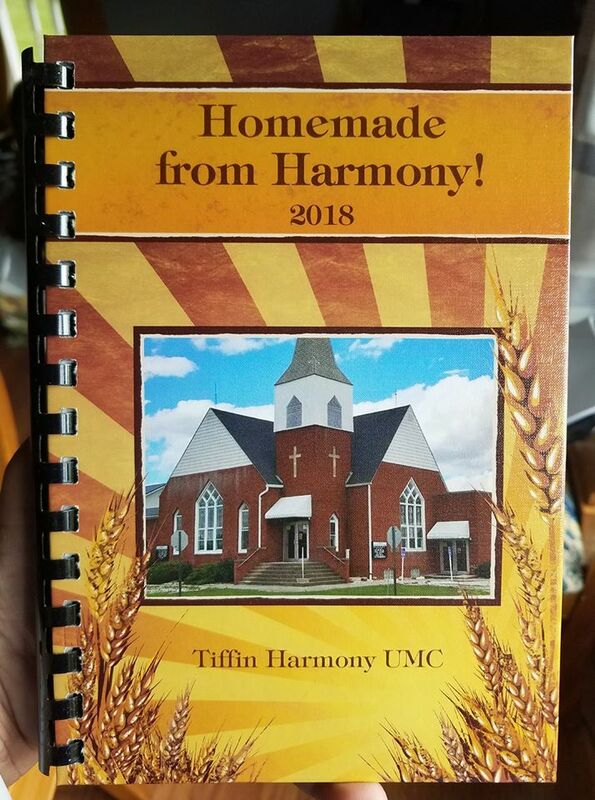 Harmony Cookbooks: They are here! Get a copy for $10.00. Makes great gifts! All the special recipes from Harmony’s great cooks!! email: http://www.beckyweisenauer@yahoo.com to order.